I’ve got a few interesting memories of an away day in Rotherham. One being when I must’ve been about five or six and we travelled to the game without a ticket as Forest sold out, my dad just presumed we’d get one in the home end (we didn’t). We then proceeded to watch the game with a rather obscured view from a nearby bridge, I think a lesson was learnt that day! The second being a few years back when a certain Nicklas Bendtner made his eagerly anticipated debut for Forest, I remember him coming on and missing an absolute sitter that would have grabbed us the three points. Forest’s win on Saturday sees us heading into this one still in the hunt for a play-off place, I know we’ll need a bit of luck and other teams to drop some points, but it is nice to be heading into the closing stages of the season with something still to play for and at the right end of the table for once. Our opponents on Saturday find themselves battling to avoid relegation, lying in 22nd, one point from safety. I’m of no doubt that despite their league position, the millers will provide a tough test for us on Saturday, they are fighting to stay in the division and will need to start winning games, fast. 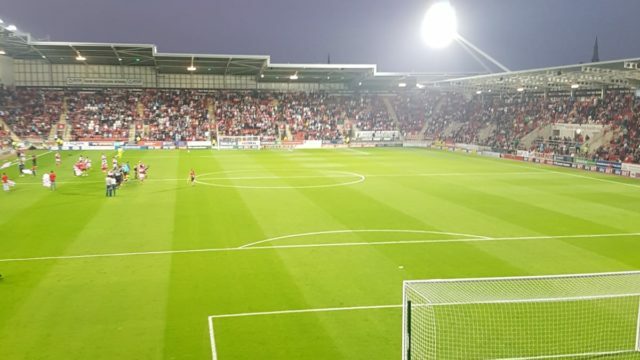 Forest haven’t won away at Rotherham since 2002, since then there has been a string of eight successive draws between the two sides when we visit South Yorkshire. It’s certainly not the worst away record forest have in recent years. Hopefully the inevitable draw doesn’t come to fruition and the reds get that elusive away win on Saturday, it’s certainly needed. Forest will be backed by another sold out away following, the volume of reds travelling away from home this season has been fantastic. It’s amazing to see considering results away from home haven’t been great, I think it shows the buzz around the club at the moment. Either that, or we find ourselves with nothing better to do on Saturdays than follow the reds up and down the country. Train: On Saturday, the trains are reasonable, you can get an open return for just £14.90, all trains require you to change in Sheffield and then head to Rotherham from there. Only taking 1 hour 30 minutes. From the station, the ground is around a ten-minute walk. Due to the frequency of trains between Sheffield and Rotherham, there is always the option to have a few drinks around Sheffield before heading over to Rotherham, there are around 3 trains an hour from Sheffield. Car: A relatively straightforward journey on Saturday, looking like it should take just over 50 minutes to head north and arrive in Rotherham. 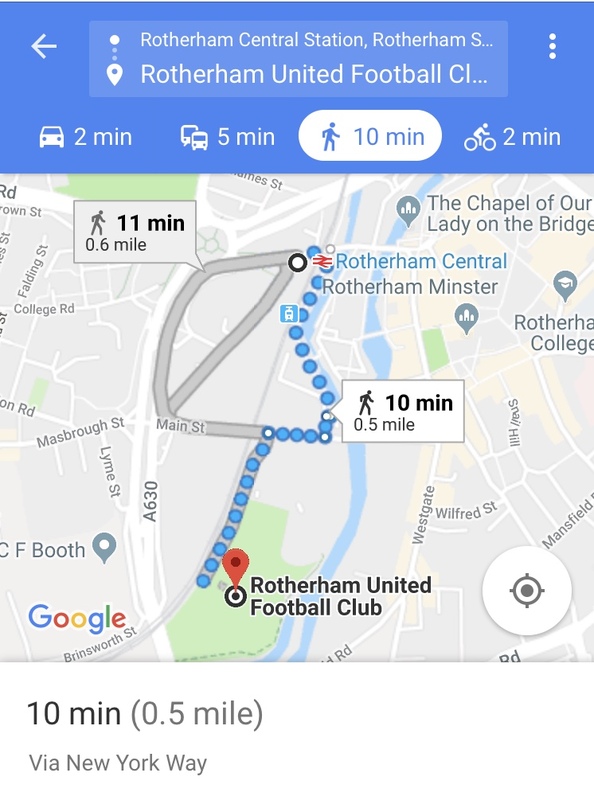 Rotherham’s website advises that there is no designated parking at the ground for away fans, the only exception will be for pre-arranged disabled supporters. However, they do recommend the use of Forge Island car park (S60 1EJ) which is free. I do imagine spaces will be limited here. Pubs: I don’t believe there is one ‘designated’ away pub in Rotherham, I know in the past that ‘The Rhinoceros’ has proved popular with fellow reds. From memory, it’s not the biggest pub in the world and I presume it will prove to be a popular choice due to its proximity to the station. We’ve also been informed that the Cutlers Arms (S60 1BQ) and New York Tavern (S60 1BD) both situated on Westgate, only half a mile from the ground. They’re both supposed to be decent real ale pubs and they welcome away fans. Apparently, the Angel and County, Boroughs and the Plough are ones to avoid in the centre of Rotherham. Rotherham have struggled this season and find themselves in the relegation zone, 1 point from safety. Do you think they have what it takes to stay up? That’s a tough one. If you had asked most Rotherham fans whether they would have taken this position at this stage of the season before a ball was kicked, most would have snapped your hand off, simply because of how difficult a season it was last time we were at this level. If we are relegated come 5th May, it won’t have been for a lack of trying. We have upset the applecart a few times already in 2018/19 and there is no reason we can’t defy the odds some more between now and when that whistle is blown for the final time against Middlesbrough. Has Rotherham’s league position surprised you this season, or was a relegation battle always on the cards for Rotherham fans? As per my answer above, most realistic fans would have expected us to be in and around the relegation zone. Tony Stewart has done a fantastic job as our Chairman, not only saving the club, but giving his backing to get us this far. 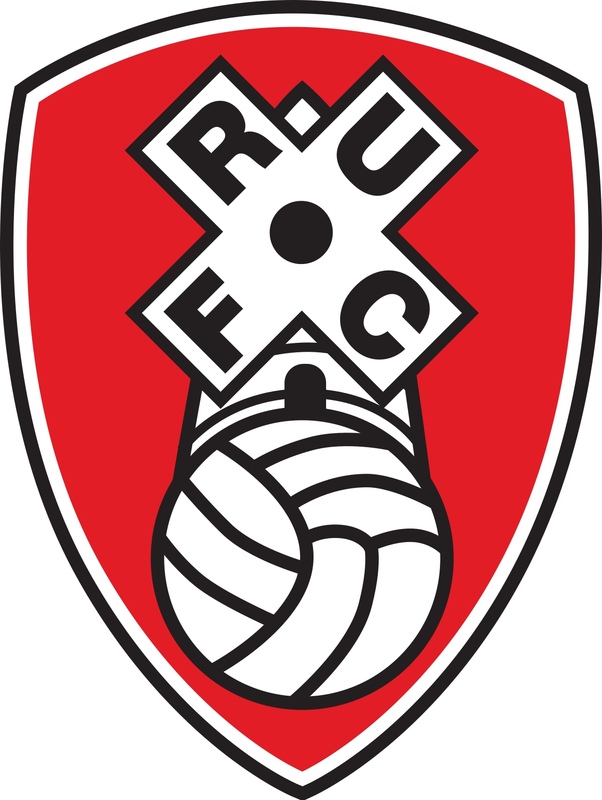 With that said, the riches in the Championship are well beyond what we have at Rotherham United, so to even be competing means that massive credit must go to everybody involved. Paul Warne in my eyes, has done a decent job with the budget he’s had available, is this a view Rotherham fans share? Definitely. He has assembled a squad of players that wholeheartedly care for the club and the shirt. He frequently talks about ‘good human beings’ and has really instilled into the players what it means to play for Rotherham United. We are almost definitely operating on the smallest budget in the division, and probably by a decent margin, and yet we’ve beaten the likes of Swansea City and Derby County, both teams who would have sights set on promotion to the Premier League at the start of the season. Saturday is a game both teams need to win for different reasons, how do you see it going? Forest are another side with Play-off ambitions, and they will know that three points at the weekend will be very much needed to keep them in touch with the teams in that pack. With that said, the points are equally as valuable to us at the opposite end of the table and I can see two sides desperate to get three points playing out an entertaining encounter on Saturday. Forest have some exciting players in their ranks, but we should be back to full strength after missing some key players through injury and suspension. On top of that, our home form has been key to the successes we have had this season, and Warne and the players will be hopeful to use that to our advantage. Fans at certain clubs have started creating initiatives aimed at improving their clubs atmosphere over recent years. Do Rotherham have something similar and how have fans engaged with it? Not really. The club have made efforts by introducing a couple of flags to the pre-match routine and there is also an inspirational video designed to get the fans going before kick off. As it is a relatively new stadium, most of the supporters that want to sing have congregated in the upper areas of the North Stand, so it has sort of taken care of itself. The atmosphere could be better at times, but I’m not sure what the club could do to improve it at this stage. Where would you recommend Forest fans drink pre-match on Saturday? 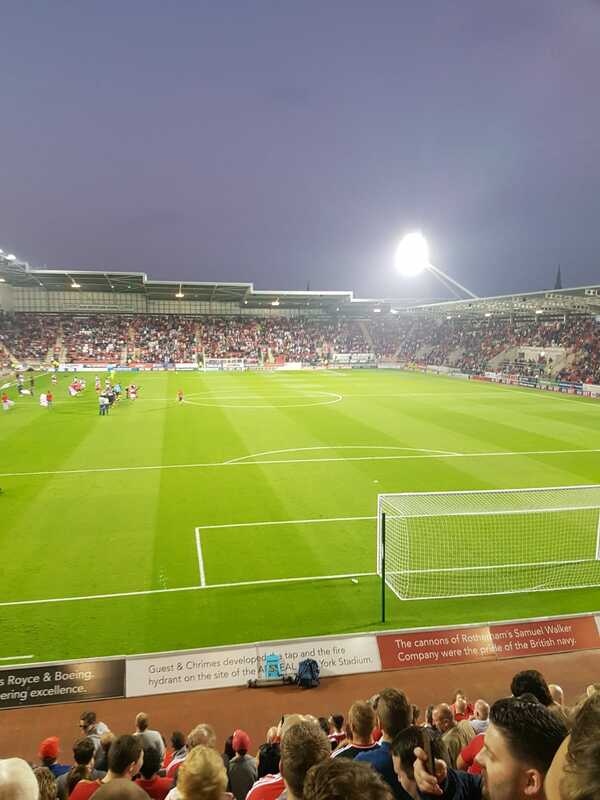 The best thing about the New York Stadium is that it is a town centre stadium, unlike many of the other new-builds around the country. There are a couple of Wetherspoons in the centre which are always cheap and cheerful, but I think away supporters are encouraged to drink in the Trades Club, which is just a short walk from the train station. Prices on Saturday are decent compared to others in the championship, has this helped attendances at Rotherham throughout the season? It possibly has, although we have a relatively die-hard fanbase, who would be at the games regardless of admission prices. It’s another big thumbs up to the Chairman, who has tried to ensure football is affordable to the supporters and we have recently announced that season ticket prices have been frozen for a seventh season running. There are some big clubs in this league, many of whom have sold out the away end, and Forest are another who will bring a big following to Rotherham which will no doubt boost the attendance. Thanks to Lauren for giving up her time to answer those questions.